If you or your loved one have fond memories of going to Rosebud for a weekend away, then our Rosebud nursing home will be perfect for you. Located at 1 Wyuna Street, Rosebud West, our aged care in Rosebud is positioned so our residents can enjoy the Peninsula, surrounding vineyards, olive groves, historic country houses, gardens and national parks. We want our residents to be able to live life on their own terms. High quality support – ageing-in-place, dementia specific care, respite care are available at our Rosebud nursing home. Individualised care – everyone is unique in their own way; we create a personalised aged care lifestyle program with the resident and their family members. Food – at Regis, we know that good food is central to life. On-site cooks prepare home-style meals and baked treats are prepared daily. 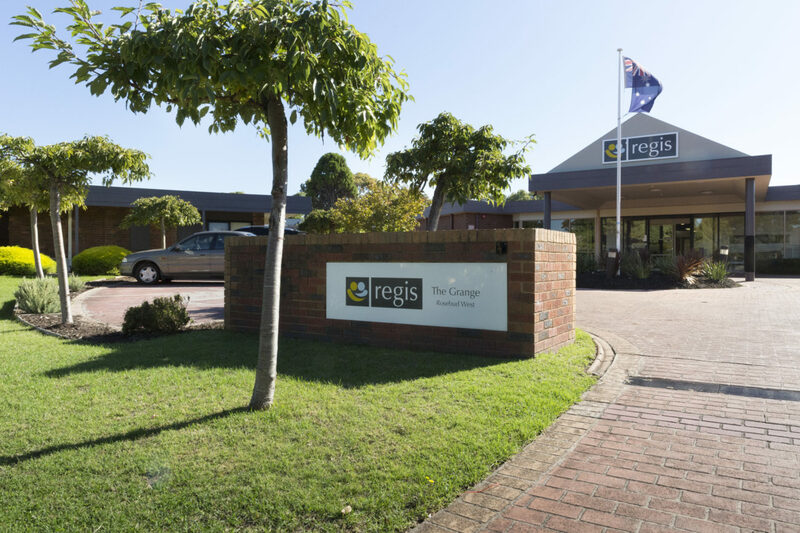 Environment – each Regis location have different environmental features. Our Rosebud nursing home location has an outdoor garden chess set, put-put golf course, leafy garden courtyards, shady verandas and quiet living spaces. If aged care in Rosebud sounds like a place you would enjoy and benefit from, book a tour with us today, or call us on 1300 998 100 for more information.